Majid Mirzazadeh, MD, researches urinary tract infections, female incontinence, urology device design, pelvic reconstruction, endourology and the use of tissue engineering to improve bladder function. His interests in industry-sponsored research include studies focusing on urinary tract infections, urinary incontinence, stem cells from myoblasts and improving the design and safety of clinical and surgical instruments. Majid Mirzazadeh, MD, a native of Iran, earned his medical degree in 1989 from Iran University of Medical Sciences in Tehran, where he was ranked the top student in the university. 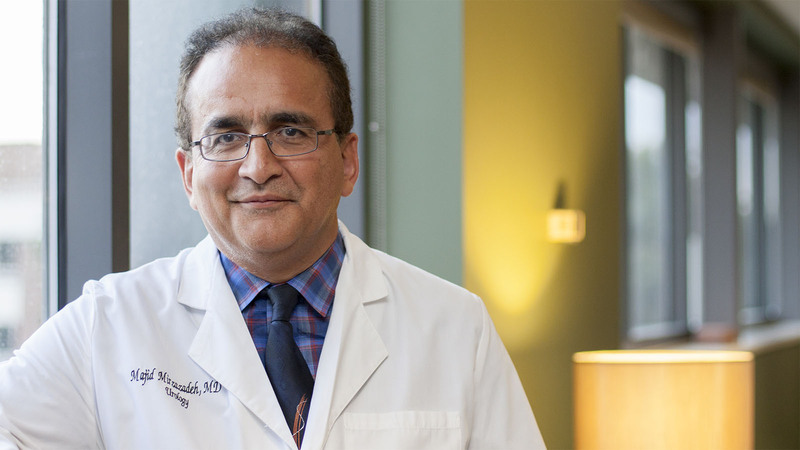 He completed his urology residency and general surgery training at Iran University in 1994, where he earned the first rank in his country on the urological board exam. Mirzazadeh then attended the Institute of Urology and Nephrology in London, where he received a postgraduate degree in urology focusing on reconstructive surgery. Following this training, Mirzazadeh completed an endourology fellowship at Iran University of Medical Sciences and a one year fellowship at the University of California, Los Angeles in urology oncology, after which he held a postdoctoral research fellowship at the Wake Forest Institute for Regenerative Medicine. He also completed fellowships in female urology and pelvic reconstructive surgery at Wake Forest School of Medicine before joining the urology department in 2009. Majid Mirzazadeh’s primary research focuses on biofilms on kidney stones causing urinary tract infections and using stem cells from myoblasts to improve incontinence in women. He has conducted preclinical research, as well as Phase I and II clinical trials of these injections. His other research interests center on improving the design and safety of clinical and surgical instruments. A pioneer in device development, he invented a syringe capable of safely delivering multiple doses of injection products to patients. Uniquely designed with tactile stops and audible clicks, the Incremental Syringe helps medical professionals administer injections like Novocaine® or Botox® accurately without the visual monitoring of volume. Mirzazadeh also investigates design alterations to improve the function and durability of staplers used in laparoscopic surgeries and endoscopic devices. In addition, he is in the early stages of exploring approaches to make urinary catheters more infection resistant.